Rebel Media, the Canadian alt-right website run by Ezra Levant, partnered with an American far-right think tank bankrolled by Donald Trump’s top donor who is also a major funder of the global alt-right. The Gatestone Institute was most recently in the news after John Bolton, who serves as Chairman of the far-right think tank, was tapped to serve as President Trump’s national security adviser following the ousting of H.R. McMaster. According to IRS filings between 2014 and 2016, the Gatestone Institute received a quarter of a million dollars from the Mercer Family Foundation, a fund run by billionaire Robert Mercer and his daughter Rebekah. The secretive Mercers are not only Trump’s biggest donors. In addition to funding the Trump campaign, the Mercers were also a close ally of Steve Bannon, financing the far-right Breitbart news website and the big data firm Cambridge Analytica – their money is widely considered to be at “the heart of a multimillion-dollar propaganda network” fuelling the global alt-right. This week alone, American media reported on a secret group funded with Mercer’s dark money that targeted swing voters with anti-Muslim online ads in the final days of the 2016 presidential election. In addition to funding the Gatestone Institute, LobeLog previously reported that Rebekah Mercer was named to the organization’s Board of Directors in 2017. 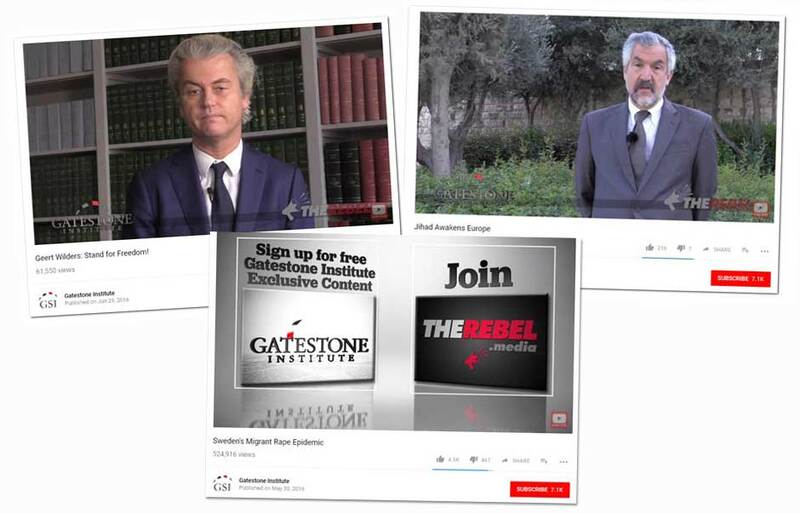 The videos created through Rebel Media’s partnership with Gatestone Institute, most of which are hosted on the Gatestone Institute’s YouTube channel, display both organization’s watermarks on the bottom corners of their videos. 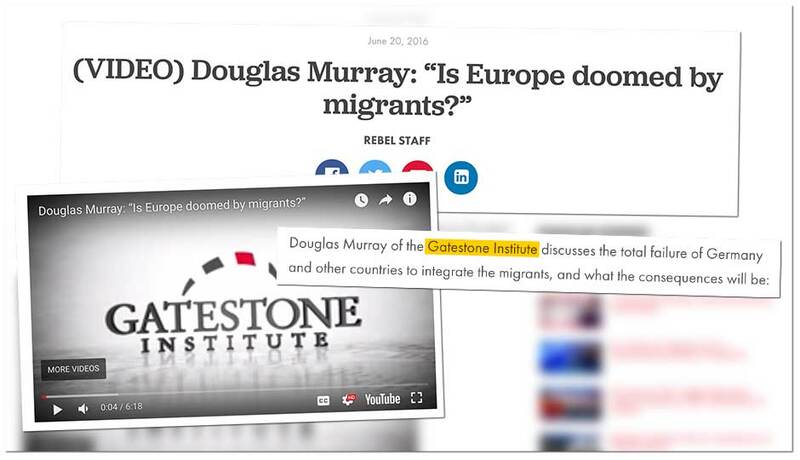 Some videos, however, appear to have been repackaged as content on Rebel Media’s website, though Rebel Media sheds no light on the nature of its relationship with the Gatestone Institute anywhere in the articles. Speakers featured in the videos include obscure far-right academics and writers, but also notably Dutch far-right leader Geert Wilders and the Middle East Forum’s Daniel Pipes, also a guest speaker aboard the 2016 Rebel Cruise. 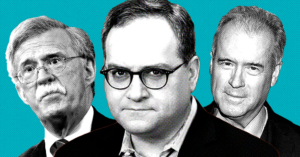 Last August, PressProgress reported the Middle East Forum, part of a “tight network of anti-Muslim” groups responsible for pushing a majority of anti-Muslim messages into American media streams, had provided Rebel Media’s Ezra Levant with an undisclosed amount of money from a $2 million fund in 2015. In all, Rebel Media now has documented connections with three separate foreign entities that largely exist to promote anti-Muslim hate. In addition to their ties with the Gatestone Institute and Middle East Forum, Vice News reported last summer that the New York-based David Horowitz Freedom Center was subsidizing the salaries of two former Rebel personalities – UK far-right YouTuber Tommy Robinson and Laura Loomer, who was once arrested for disrupting a performance of Shakespeare in the Park. 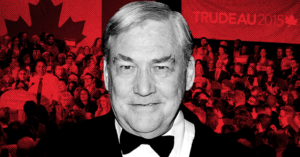 The National Post has launched a new database tracking political donations across Canada – and one of the first people exposed by this new era of transparency may well be the founder of the National Post itself.